The mystery surrounding broken fencing and trampled Arugula seemed to be solved. 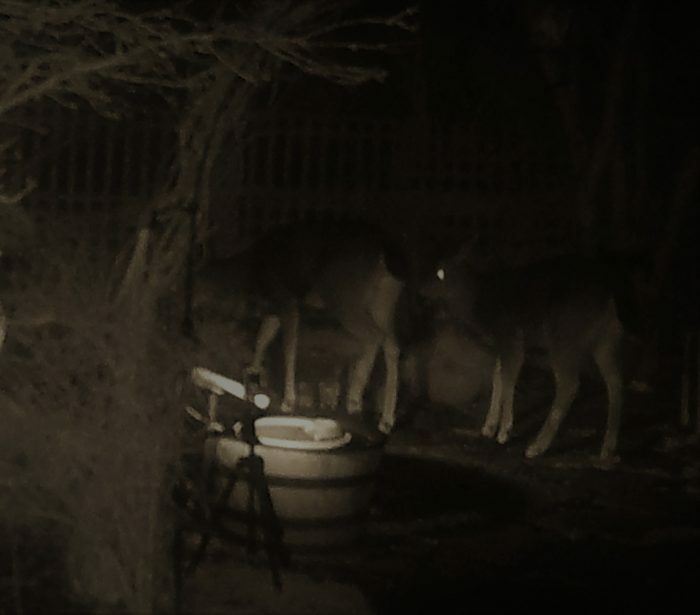 The culprits, two night marauders, caught by technological advances in security systems deployed by the Foggy Bottoms Resort and Spa. the Face of Everyman winced as the intense carbon arc lamp bathed the scene in white hot daylight. Hoof prints on file matched. Crews worked the remainder of the night to restore the pristine setting. The perps remain free on bond.